- These rates are applied to a group up to 5 people. If your group is composed of more than 5 people, additional fees, 1,000 JPY/person, are charged. your hotel from my home in Osaka. explanation. Please, go to the section of "WALKING TOURS". * This deposit payment ensures your requested date(s). 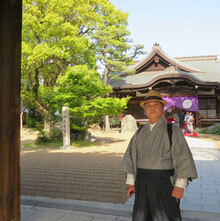 All tours, including the special tours (such as Hida-Takayama and Koyasan), require the deposit payment as well. Once the booking is made, the deposit is not refundable. Taking out travel insurance before you arrive in Japan is very much recommended. We can not be liable or responsible for any accidents, injuries, or damages during your tour.